Number one issues are always a delight…on paper. Hopes are high and fans are rejuvenated with thoughts gone wild of their favorite characters getting a creative refresh. 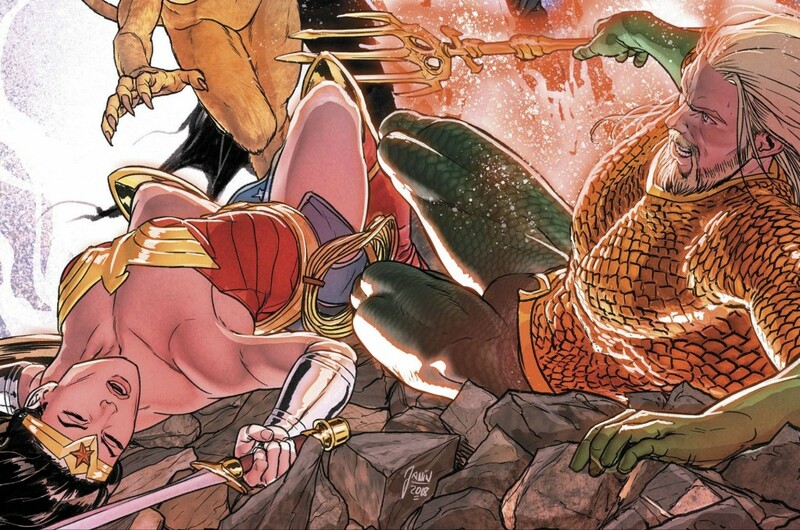 That’s what Scott Snyder and Jim Cheung aim to do with Justice League #1. Take the world’s most recognizable heroes and make them fresh for the post Rebirth era of DC Comics. Here’s hoping for the greatest story ever told. Spoilers ahoy. From one event to another. DC is going to bang us over the head with huge stories until our brains melt from the pressure. But alas, it won’t be from the pain. 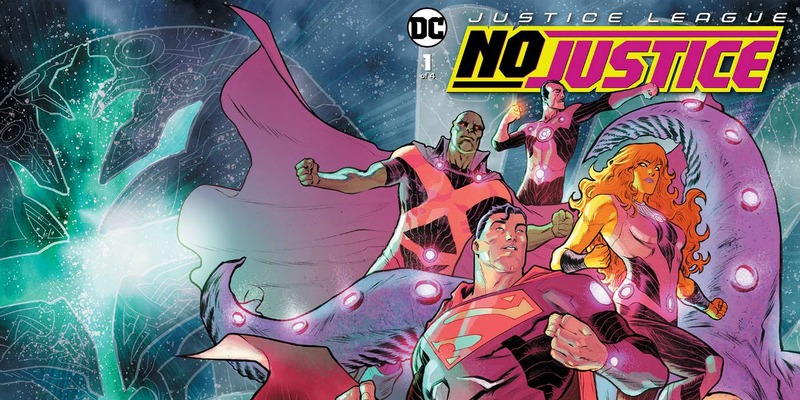 As Justice League: No Justice features high profile talent on all ends of the creative side, I look forward to seeing whether the result is a fantastic event or a middling gap filler until the next “real” event comes along. Well, issue one is here so lets find out how things got started shall we? Spoilers ahoy! Let’s rewind the clock back to 1995, I’m a young lad having fun on the playground running out with my friends acting out what we say in the hit show, Mighty Morphin Power Rangers. Fast forward a few more years and the Bruce Timm Justice League cartoon bursts onto the scene, bringing the legacy of the Justice League to a whole new generation. I’ve seen my fair share of crazy crossovers that I thought would never happen, but this six issue just might take the cake. Warning there will be spoilers so be sure to read your comic before reading the review. You’ve been warned! I don’t know about you dudes, but this week in particular it seemed that the Justice League we’re all over the DCU from this book to the first Rebirth event Justice League Vs. Suicide Squad and even Aquaman. Yet as I looked at the shelf I haven’t seen much talk about this current Justice League series. I’m not the biggest fan of this title but when Hitch writes an entertaining script but it seems that this book isn’t captivating readers as much as I thought it would. 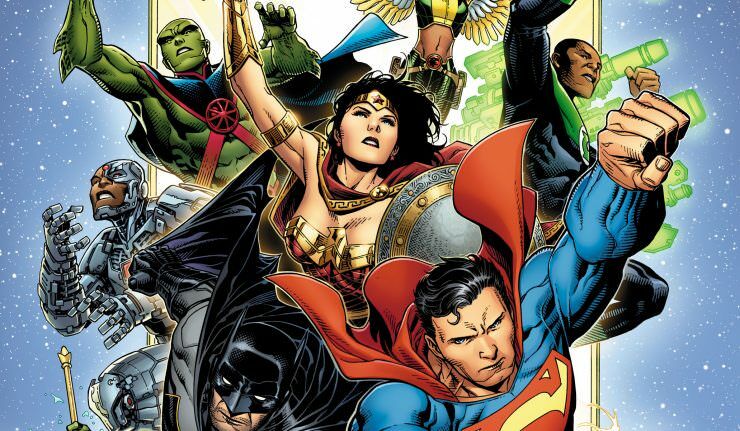 Before this book enters crossover limbo let’s see how Hitch ends 2016 with the Justice League. Warning there will be spoilers going forward you have been warned. It’s finally December ladies and gentlemen! 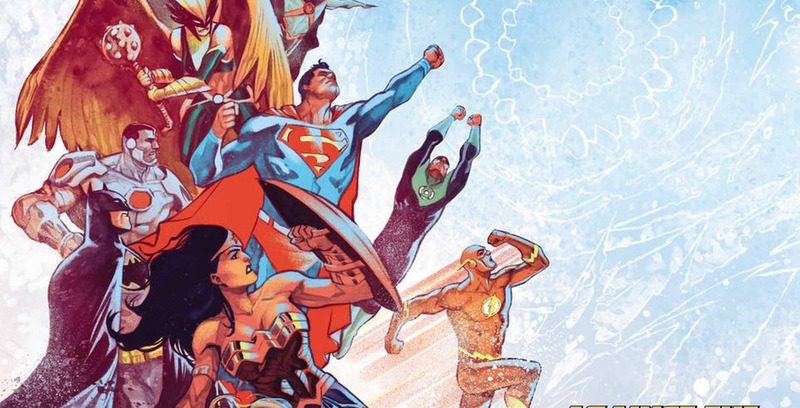 The year is finally over, and for DC: Rebirth we are officially six months into this new era for DC comics. I’ve been hit or miss on this series since issue one as I feel that there are certain aspects that Bryan Hitch does very well that makes me want to read this book each time it comes out. There are other times where I’m left scratching my head as to what is going on and how does this help the story he wants to tell. After the Justice League showing up in suburban America at the end of last issue, let’s see where Hitch goes from here. Control is the one thing we as humans all desire. Even though our world isn’t filled with alien invasions, magical hordes seeping into our dimensions or insane clowns making elaborate death traps for billionaires dressed as giant bats. What we have is the illusion of control in the chaotic world that we live in, (yes even before the results of the 2016 election). Does the same apply to our costume adventures who deal with Earth shattering events on a daily basis? What does this have to do with Justice League? Read further on to found out, spoilers are too follow.